Miss Tessmacher is the featured this week’s edition of Divas picture of the Week. She was on last week’s edition also, because she is just plain HOT!!! All WWE programming, talent names, images, likenesses, slogans, wrestling moves, trademarks, logos and copyrights are the exclusive property of the WWE and its subsidiaries. All other trademarks, logos and copyrights are the property of their respective owners. This blog site is written by wrestling fans for wrestling fans. 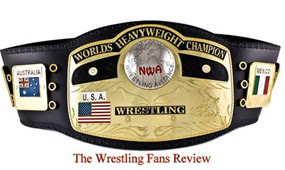 We complement all the great wrestling matches and criticize the bad ones. We post weekly pictures of wrestler & Divas/Knockouts, who we believe had an awesome week. We post YouTube videos of classic wrestling moments and segments we see on wrestling that has absolutely nothing to do with wrestling. We post polls on the site that give you an opportunity to let your opinion be heard. We write about autograph sessions with wrestlers and rate their interaction with us. This is an interactive site; we allow comments that are tasteful and respectful to all our followers. We have a facebook page, Google+ and a YouTube channel. Mickie James is wishing you guys a Happy Valentine’s Day, and would like to share a lollypop! Scott Hall is "The Bad Guy"
The Chay-Lites "Chay Vs The One Warrior Nation"